To celebrate the mass-market release of BLOODLINE by James Rollins on March 26th, I am very pleased to be taking part in a week-long giveaway. Just complete the entry form below, and the winners will be announced on March 25th. But first, a little bit about the book . . . Fill out the form below to enter to win a copy of BLOODLINE by James Rollins. 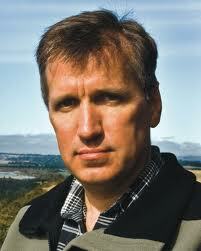 Please note that providing your email address will also subscribe you to the James Rollins mailing list.